When I saw ailsa’s weekly travel prompt, I had no trouble thinking of spooky things. In fact, I realized just how spooky the greater Cincinnati area can be. 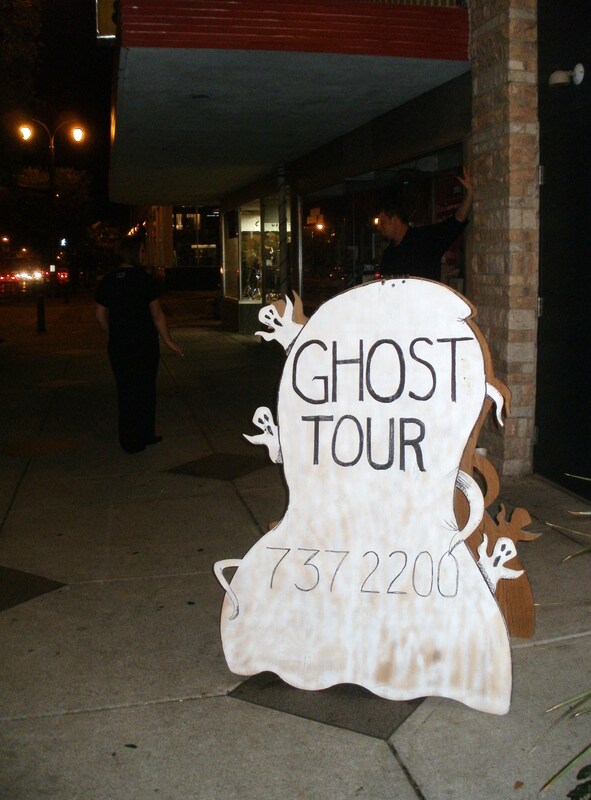 Is it my imagination, or do we have more ghost tours than the average town? This Hamilton, Ohio restaurant opens its doors and second- and third-floors to ghost hunters each fall. We traipsed through the kitchen, dining areas, and upstairs storage rooms with the TRIOPS crew (Tri-State Ohio Paranormal Society) searching for ghosts, or spirits, or paranormal entities. They’ve investigated Ryan’s many times and claim it as one of the most active sites in the area. We were trying to communicate with a few known spirits at Ryan’s: Elizabeth (a cook), The Boss, Henry, Stanley, another Stanley, and other previously identified spirits. The most successful tool seemed to be the divining rods. We were invited to take turns holding them loosely in front of us while we asked the spirits yes or no questions. If the answer was ‘yes,’ we asked them to make the rods cross. They acquiesced again and again. We got more inventive and asked them to point toward the area where they were. They obliged us on this point as well, though I couldn’t help notice that they were usually in the vicinity of my step-sister. Her house is haunted, too. I think the spirits like her. This walking tour of downtown Cincinnati begins with a 1980’s crime that was big news in Cincinnati. Literally. A man took the news station hostage and later killed his girlfriend. We stood outside the apartment where she’d been murdered and wondered whether we’d see any ghosts. We didn’t, but that doesn’t mean she wasn’t there. We also went ghost hunting in what used to be a punk/alternative nightclub called The Warehouse. Apparently, this place is haunted by a poltergeist. We used a Smartphone Ghost Radar: Classic app to track ghosts here, and though we did pick up energy on our devices, we didn’t have any ghostly encounters. This ghost walk down the historic Millionaire’s Row in Hamilton, Ohio was unique in that the people who own the houses there now came out and told us about the apparitions and paranormal experiences they’ve personally had while living in their houses. It was a nice change of pace from the typical ghost walk. We got lots of different stories with a variety of perspectives. Ad though most of the people have felt a presence in their homes, few have been scared enough to do anything about it. These ghosts seem more mischievous than anything else. This tour began with dinner at one of the old inns. We were delighted to learn that the inn is haunted by a cat, who is often “seen” curled in one of the chairs. Guess who was sitting in the chair he frequents most? Me! But I must have missed him, because I ate my dinner without incident. 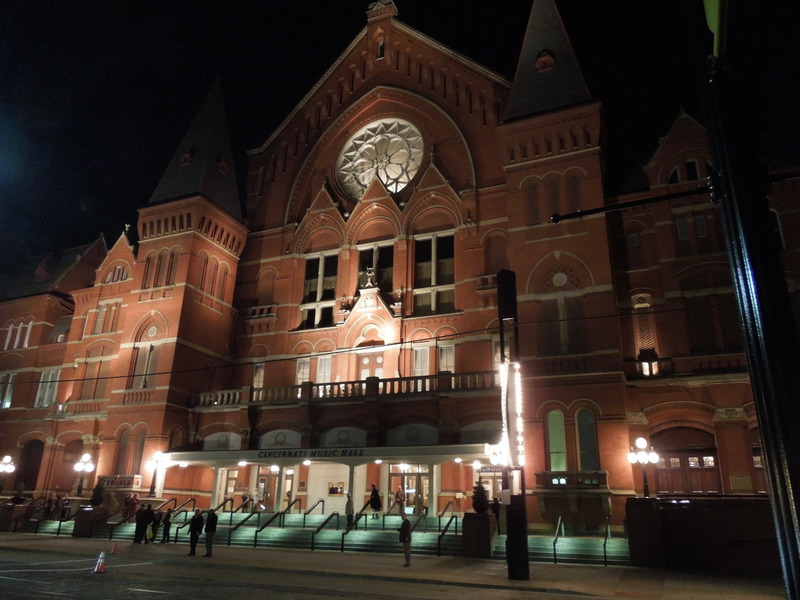 In addition to these tours, there’s a Haunted Covington (Kentucky) Tour, a ghost tour of Music Hall, and an old schoolhouse that’s haunted. Apparently, we like our apparitions here in Cincinnati. How about you? Is your town haunted? That’s a lot of ghost tours for one town! Nope. Ghosts probably don’t like to sweat. Neither do people looking for them. That is a lot for one city! My brother signed on for the overnight stay in the Ohio State Reformatory in Mansfield. It’s supposed to be one of the most haunted prisons in America. I don’t think he was able to go because of work, but he is into all of this stuff, and he even has ghost-hunter equipment! I’m a scaredy cat! Oh, my husband wants to go to Mansfield so badly. As soon as he reads your comment, I know he’ll start planning the trip.